Yes, it's true. I made another Tessa Basket. My sister in law is a crafter and it was her birthday, so I couldn't resist making her one of these lovely baskets to store all of her knitting or crocheting bits and pieces. 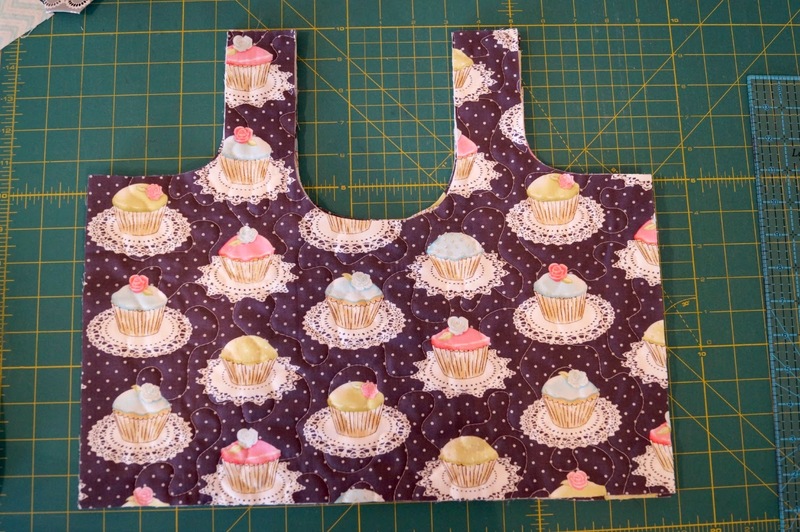 This super cute Michael Miller cupcake fabric is from Modes 4 U - one of my favourite online fabric stores. If you like cute Japanese fabrics (plus stationery and accessories) you'd love it too. Best of all, the shipping is fantastic (especially for those of us living in Australia). Rather than piece the panels for this basket, I used a larger piece, sandwiched and quilted it before constructing the basket. 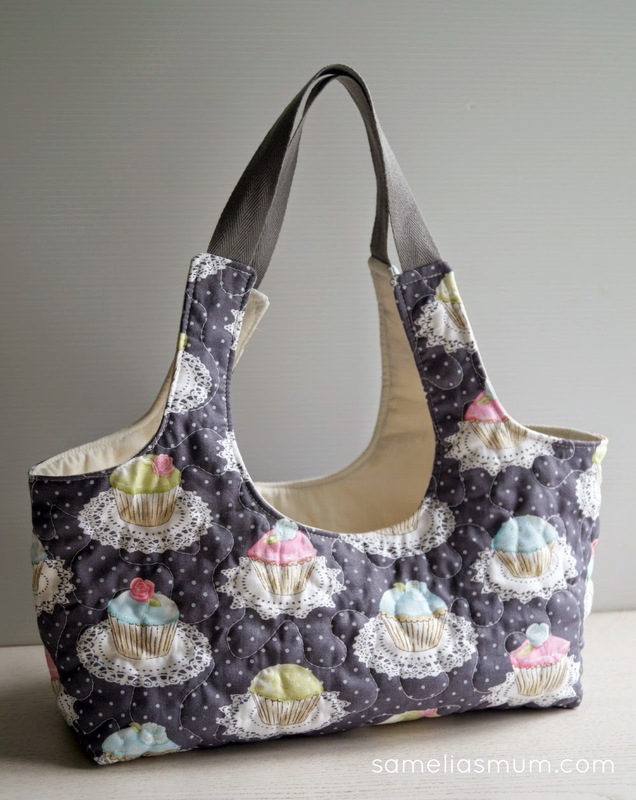 In this cupcake Tessa basket, I made the fabric portion of the handles a little longer than the pattern and the bag section a little larger. That's one thing which is great about the Tessa Basket pattern - it's very easy to adjust. I hope my sister in law likes her new bag and finds a use for it in her crafting adventures. The Tessa Basket is a pattern by @GreenLetterDay and is available to purchase from ETSY.